South Korea's basketball governing body said Wednesday it will start the naturalization process for an American forward to boost the international competitiveness of its men's national team. 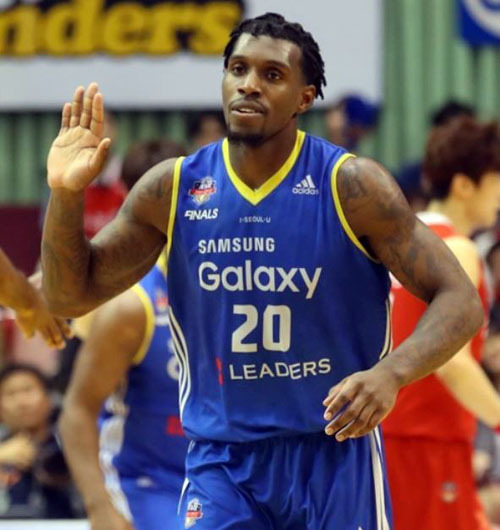 The Korea Basketball Association said it has reached an agreement with the Korean Basketball League to seek special naturalization for Ricardo Ratliffe, who has been playing in South Korea since 2012. The 28-year-old American, who plays power forward or center for the Seoul Samsung Thunders, said in January he wants to acquire South Korean citizenship and play on the national basketball team for his adopted country. "In order to strengthen the men's national basketball team's international competitiveness, we decided to seek special naturalization for Ricardo Ratliffe," the KBA said. "We will soon take the next step (in this process)." Ratliffe is considered one of the top foreign players in the KBL. He won the league championship for three consecutive seasons with Ulsan Mobis Phoebus from 2012 to 2015 before moving to the Thunders. For the last five seasons, Ratliffe averaged 17.8 points and 9.9 rebounds per game. He also won the KBL's top foreign player award twice. South Korea grants special naturalization to foreigners with a specialized talent or skill set. The KBA is expected to recommend Ratliffe's special naturalization to the Korean Sport & Olympic Committee (KSOC) soon. After passing the sports body's screening, the Ministry of Justice will then review Ratliffe's naturalization case and will ultimately make the decision.